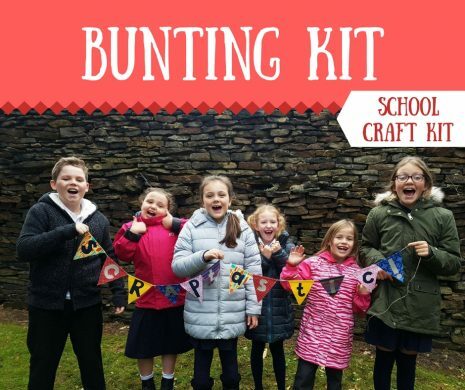 Bunting is really simple to make and looks beautiful. A great project for school or eco-council to promote recycling and create unique decorations for school events, or products to sell at school fairs! PLEASE NOTE: The kit alone does not include craft instructions. For instructions on how to complete the SCRAPtastic craft please include a SCRAPtastic Book with your order.